A few nights ago, I had a dream that I thought would make an excellent book idea. The only problem was, that in the afternoon, when I thought about writing the idea down, I couldn’t remember what the idea was. This reminded me that my ‘Steal like an Artist’ Journal had a page to write dreams on. This morning, I wrote down last nights dream as soon as I woke up. 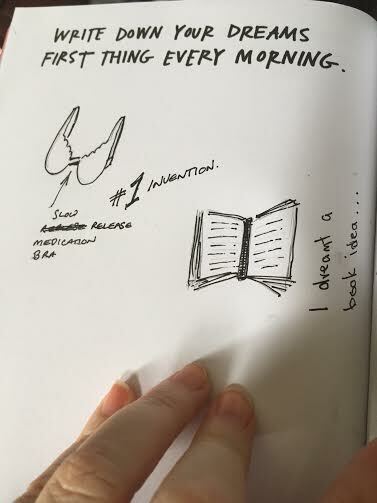 I was an inventor who designed a bra that slowly released medication that was absorbed through the skin.